Hands-on Training. Small Classes. Affordable Price. If you like working with your hands and wish to enter the workforce quickly, then consider a career as a Heating, Air Conditioning and Refrigeration Technician. We offer hands-on, technical training in small classes at an affordable price. Our professors provide one-on-one assistance in a close-knit atmosphere, making the learning process much easier. Our curriculum will prepare you to assist in planning, installing, operating and maintaining air conditioning and refrigeration equipment. Upon graduation, you will have the necessary skills to work efficiently with engineers, system designers, skilled craftsmen, salespersons and others in the field. 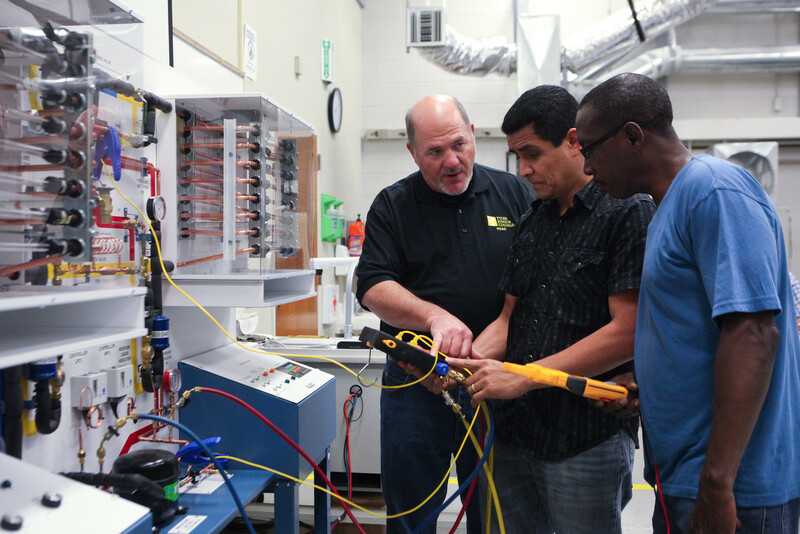 We offer hands-on, technical training in small classes at an affordable price. Our professors provide one-on-one assistance in a warm-close-knit atmosphere, making the learning process much easier for you. Our curriculum will prepare you to assist in planning, installing, operating and maintaining air conditioning and refrigeration equipment. Our program can help you get the training you’ll need in order to capitalize on a popular industry. Our entry level certificate will provide you with the fundamentals needed to start working. Do you already have the basic skill set for heating, air conditioning and refrigeration repair? Are you ready to take the next step? Our advanced level certificate will build on your current foundation and provide you with new skills to further your career.